Want to be faster? Be more efficient! Staying cool saves your body a lot of energy, so you can put it where it really counts: into every pedal stroke. 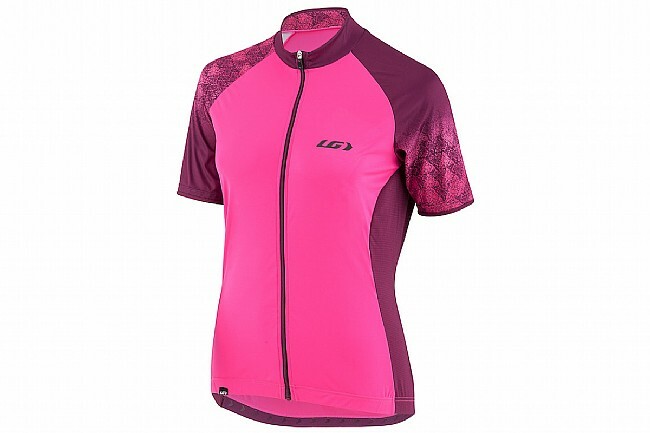 The Louis Garneau Women's Zircon 2 Jersey offers exceptional moisture management and breathability, with its strategically placed mesh panels (including one that runs all to the back), and great UV protection to keep you cool and protected from the sun. 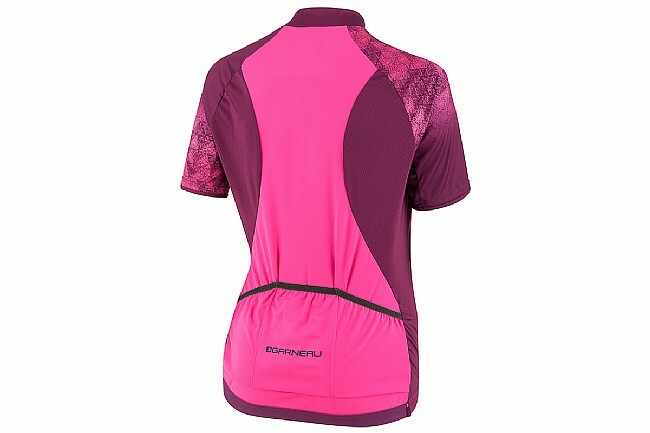 Reflective logos and pocket trim help keep you visible on the road, while the Zircon fabric’s 4-way stretch makes for an excellent fit, and the silicone strip on the bottom hem keeps the jersey in place. 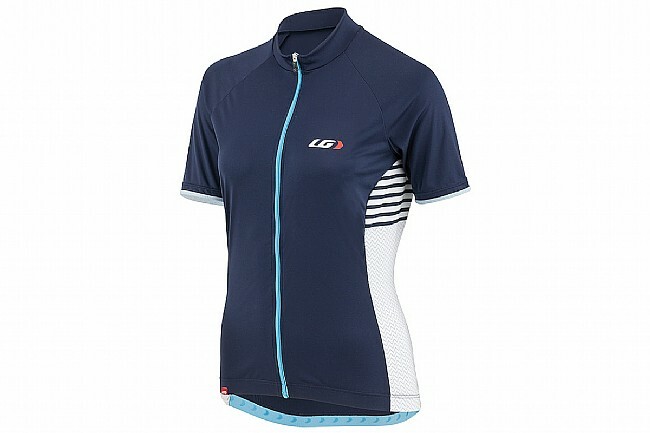 Louis Garneau's Square Mesh and Zircon fabrics work to provide optimal ventilation and moisture wicking. 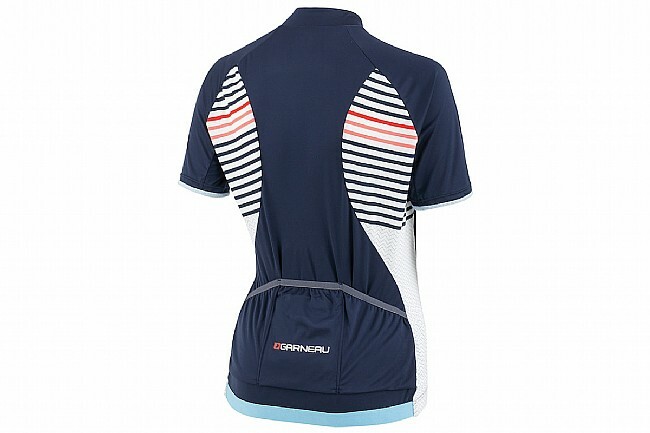 Reflective trim at pockets, reflective logos on front and back. Pockets: 3 rear pockets, plus 1 sweatproof media pocket and 1 Enviro pocket for wrappers or waste.